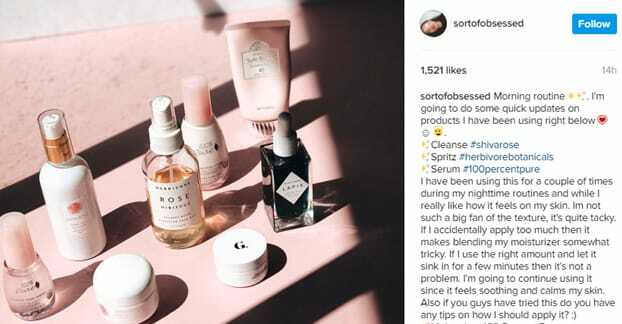 Blog > Social Media > Is Paying for Facebook and Instagram Product Reviews Illegal? Whenever a marketer comes to me and asks whether or not a particular practice is illegal, I have to take a step back to reassess what exactly they mean. Not about the processes, no; about what they mean by illegal. There are generally two levels of “illegal” that people are concerned about. The first is actual legality; is this action against the laws of my city, state, or country? The second is more like when your computer breaks and a piece of software “performs an illegal operation.” It’s not violating a law, it’s just breaking the rules by which it is supposed to operate. In the case of buying product reviews on social networks, an “illegal operation” would be a violation of the site terms of service. Since that’s the premise of this article, let’s break things down. Is It Actually Illegal to Buy Product Reviews? The first concern is whether or not buying product reviews for Facebook or Instagram is actually illegal. In this case I’m actually talking about local, state, and federal laws, the kinds of legality that are codified in print somewhere. Now, before we really dig into this, I just want to state up front that I am not a lawyer and I have not personally contacted a lawyer to ask about this. However, I will be citing the sources for what I find. You won’t just be taking my opinion on this. First of all, you can start small. Does your local city or township jurisdiction have laws against fake reviews? This I cannot tell you. You need to actually investigate for yourself, but I can save you some leg work; the answer is probably “no.” The fact is, overarching fake review rules come from the federal level, and many smaller jurisdictions don’t feel the need to further tighten the noose. The same goes for state-level enforcement. Sometimes a state-level attorney general will lead a campaign against specific companies that make heavy use of fake reviews in their jurisdictions. Sometimes they will also support defamation suits against people who buy negative fake reviews, but again, most of the time this is left to federal-level enforcement. That’s not to say it doesn’t happen. Some states are more aggressive with enforcing rules involving businesses in their jurisdictions. The attorney general of New York famously cracked down on companies a few years ago. I’ve mentioned federal-level enforcement a couple of times now, so let’s look at that. Here, the rules are much more clearly defined and easy to access. Federal rules regarding testimonials and reviews fall under the guidelines of the Federal Trade Commission, or FTC. Information about this section can be found in the electronic code of federal regulations, found here. If that link doesn’t work, you want to go to ECFR.gov and find Title 16, Chapter I, Subchapter B, Part 255. This section governs what is and isn’t allowable in reviews used for advertising; that is, public reviews other people can see. In the case of reviews on Facebook and Instagram, these would be considered public reviews used for advertising purposes. Federal regulations are a labyrinth of dense legal terminology. There’s a reason lawyers spend a long time in school learning to read all of this stuff. It’s entirely possible to be wrong in interpreting it, however, always consult a lawyer if you have questions that could lead to action against you. What the FTC rules boil down to, basically, is that if a review is going to be used in a way that can be considered advertising, that review must be real. You can gather up all the fake reviews you want if all you’re doing with them is printing them out and hanging them on your wall in the office, but when it starts to be visible to customers in a way that can be considered an endorsement of your product, you can face punishment from either the company hosting the review or from the FTC directly. Just like you need to look up state and local laws, it’s probably helpful to look up country-level laws in your jurisdiction as well. 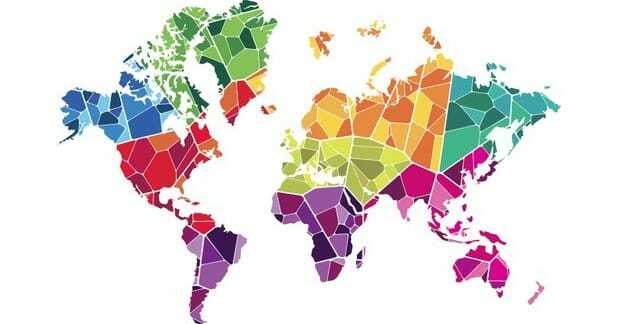 A lot of the information available online comes from the American justice system, but that doesn’t govern you if you live in the UK, Germany, India, or Australia. Unfortunately, you can’t hide behind the legal system of another country, at least not easily. Take the UK for example; they have very similar laws against fake reviews. You can read their version of the FTC rules online here. In short; fake reviews used in advertising are illegal except if you’re the crown ruler of the United Kingdom. The Queen can violate whatever laws she wishes, really. Most countries will have some variation on these rules. Some don’t, or do, but don’t enforce them. Countries like India and the other stereotypical exploited developing nations or nations with low cost of living – Malaysia, The Philippines, Bangladesh, etc – may have laws on the books, but there are very different enforcement cultures. Maybe the writer of the fake reviews can get out of trouble with a few bribes, or maybe they’ll never be looked at twice unless they cause problems for the government. If you live in a nation like the United States, somewhere in the European Union, or the like, you’re a lot more likely to be punished for buying fake product reviews. Different jurisdictions will inflict different punishments on businesses caught buying fake reviews. The FTC in the United States has the power to cease operations of a business entirely if they so desire, though it’s rare that they do so unless business practices are actively unsafe. 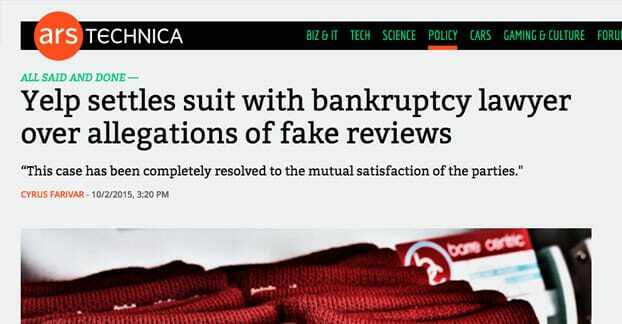 Buying reviews isn’t endangering anyone, but it’s causing financial damage, so the most likely punishment is a fine. Fines can be quite steep, and can occasionally be enough to cause a business to go under, but that’s not always the case. In the UK, according to the guidelines I linked above, punishment can be a fine or even up to two years imprisonment. That’s right; in the United Kingdom, egregious violators of consumer protection laws can actually go to jail. Soft legality in this case refers to the legality of a practice as based on the terms of service of the sites you’re using. If you’re buying fake Yelp reviews, the Yelp terms of service would apply. 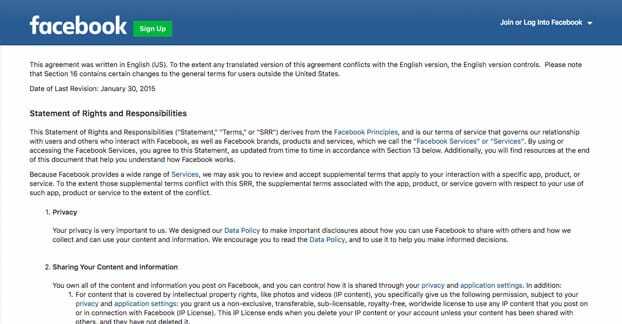 In this article we’re talking about Facebook and Instagram, so the terms of service for those sites will apply instead. Fake reviews are considered to be “illegal content” on both platforms. Facebook – since they own both sites – can take a variety of different actions if they discover fake reviews. They can’t issue fines against your business like the FTC can, but they can take legal action for violating their terms of service. In short, they can sue you. The potential punishments for violations here range from easy to ignore up to business-crushing. At the low end, Facebook can simply remove the offending content. They can also restrict the ability for the user who left the fake reviews to keep leaving more, or remove the account entirely if they consider it fake itself. Stepping up the punishments, Facebook can sue the company that sells the fake reviews, if they know who it is. They have done this in the past, which I’ll link in a moment. This also allows them to figure out who all has bought reviews from that site. It’s virtually unheard of for Facebook to sue an individual review writer, often because they’re simply contractors or ghostwriters for the review seller. Facebook doesn’t sue Textbroker when someone buys fake reviews on the content mill, and they certainly don’t sue the writers on the other site of the coin either. They go after the root of the problem; the business buying reviews. Facebook can take action against any business buying fake reviews on their platform. This action can range from having those reviews removed, to having all reviews removed, to having the account as a whole removed. Sometimes all Facebook needs to do is make it public, as well; there have been cases where a brand receives so much backlash for their actions that they willingly leave the platform rather than suffer harassment. This isn’t Facebook’s preferred method of solving the problem, but it has happened. What is a violation, though? One trap businesses sometimes fall into is considering any negative review “fake” and attempting to get it removed. There have even been cases where individual businesses have tried to threaten a suit against someone leaving a legitimate fake review. This never goes well. I’ve accumulated several instances of fake reviews being punished, both involving Facebook and involving other sites. Here’s further reading, if you’re interested. In 2014, Facebook sued fake like sellers. This was the start of a push to get rid of fake likes and followers, and shows that Facebook can and will sue people providing fake information on their site. Now, four years later, we’re looking at a bit of a different atmosphere. Facebook is aggressive with getting rid of the lowest of the fakes, but they’re still riddled with fake news and propaganda, which has caused quite a problem. Fake reviews are probably low on their list of priorities, but they’re still on the list. In 2015, Yelp sued a bankruptcy lawyer who they accused of buying fake reviews to boost his business. This case wasn’t solved in court, but rather settled, but it shows that the company or individual buying the fake reviews can be targeted. Yelp in particular has been known to go after individuals buying reviews rather than companies selling them, presumably because they have all the information they need on hand rather than needing to find those sellers individually. Also in 2015, Amazon took legal action against more than 1,000 individuals they claim were providing fake reviews for the site. It’s unclear whether or not these individuals were real accounts or fake accounts wielded by one or a small handful of businesses selling fake reviews. In 2016, Amazon sued five sites accused of selling fake reviews. The five sites involved were all sellers of fake reviews, companies that provide the service. 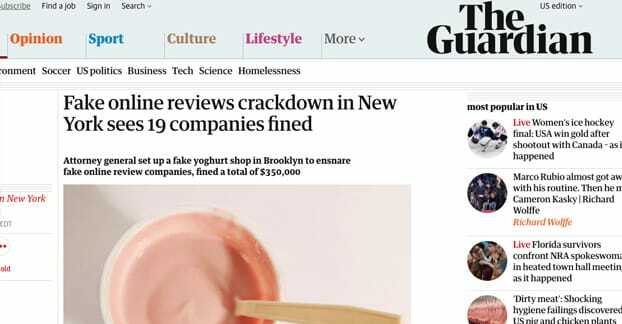 Any writers employed by those companies were not specifically targeted, nor were the companies buying fake reviews, though all fake reviews identified were removed and in some cases businesses have their rights to sell on Amazon revoked. I have not found evidence that Instagram has sued anyone for leaving fake reviews, buying fake reviews, or providing fake reviews. If it has happened, I imagine it has happened under the banner of Facebook suing review providers. The reason I think this is two-fold. The first part of my reasoning is that virtually every company that sells fake reviews will sell them for multiple platforms. If a company sells fake Instagram reviews, they very likely sell fake Facebook reviews as well, so Facebook can do the heavy lifting. They’re the same company anyways. The second part is that Instagram does not have a review system in place. Reviews on Instagram would take the form of comments or post endorsements, which aren’t necessarily explicitly gaming the review system. In either case, if anyone has heard of a case where Instagram has taken action beyond removing a post or removing an account, feel free to let me know. Regardless, don’t take this as an endorsement! Instagram and Facebook both make it clear that fake reviews are violations of their terms, and even if they didn’t, the FTC does.